Social media advertising is one of the most important digital marketing channels for most businesses. In order to boost your return on investment, here are 10 tips on how to create high-converting social media ads. The purpose of a headline is to draw the readers’ attention. Of course, this also applies when it comes to social media (SM) advertising and there are different ways for how you can write compelling ad headlines. One is by offering value. Others are by trying to evoke emotions or asking a question. You want to make clear that there’s a reward for every person that is willing to spend the time to read your ad copy and click through to your site. Also with headlines in general, you should try to be as specific as you can about your offer and, if it makes sense, include one or more numbers, since they are great to catch the users’ eyes. Within your ad copy, make sure to address your target audience directly, which requires you to know who you are writing to in advance (more on audience targeting see tip #6). Truth is, people don’t care about your product and its features – at least not to the same extent as you do. What they do care about are the benefits that these features provide. How can your product or service improve the users’ lives? If you are not sure or don’t know how to express these benefits, now is the time to put them on paper. Did you get stuck focusing on benefits instead of features within your ad copy? Check out this helpful list with “101 Examples of Features Versus Benefits” to gain some momentum. If there is one element that is most important for creating high-converting social media ads, then it’s CTAs (Call-to-Actions). Every single one of your ads has to include a clear CTA, which basically tells users what it is that you want them to do next. 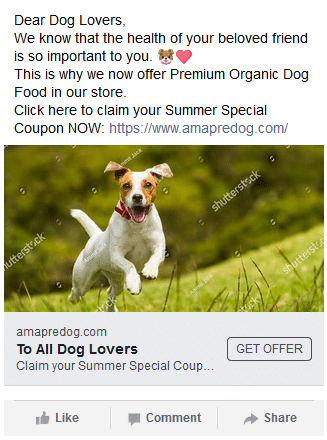 I know that especially in the beginning it might feel strange to tell someone “click here now and order premium dog food at 50% off”, however, when advertising on SM, you have to provide clear instructions for your audience. A CTA also requires you to know what the objective of your ad campaign is. Do you want users to sign-up for your email newsletter? Do you want them to download a free eBook? Or do you want to make more eCommerce sales? On the one hand, emojis can increase conversion rates. On the other hand, they might also make your ads look unprofessional. It really depends on your industry or niche and who you are marketing to. Images are likely the first element that a user sees when stumbling upon an ad. And everyone can tell the difference between a real photo showing a real person that works at your company or is one of your customers and a fake stock image. Vwo.com, which provides a platform for businesses to perform A/B tests, has conducted a case study and found out that stock images “look fake and reduce trust on your website”. It only makes sense that the same applies in advertising. People that don’t like to fish won’t spend money on fishing rods. Most men are not going to buy high heels. And young adults usually have no demand for rollators. That’s why you have to put enough effort into defining a target audience for each of your marketing campaigns. Facebook and Instagram, for example, allow you to choose one or more target locations (cities, countries or regions), your desired age and gender, specific languages that your target audience speaks, and most importantly interests and behaviors. 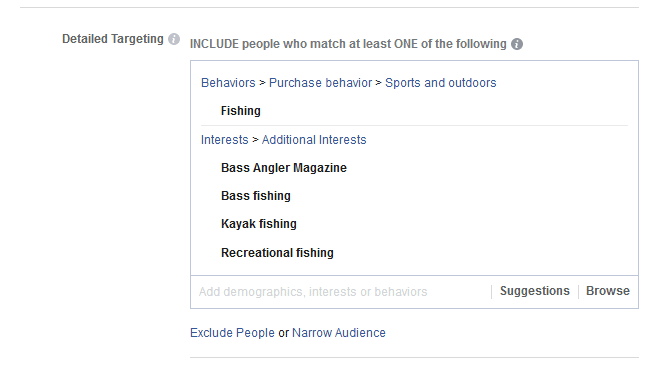 An example for the latter would be “longline fishing” or “kayak fishing” in case you want to sell fishing rods. It’s also possible to exclude certain people to narrow down an audience. What’s more, you can set a connection type, which lets you target users that have already liked your fan Page or people who already use your mobile app etc. As a rule of thumb, the more accurately you describe your target audience, the higher your conversion rate will be. The downside is that if you get too specific, your audience might get too small and click prices increase. Another very powerful feature that Facebook and Instagram advertising provides are custom audiences. Custom audiences are an advanced tool that require you to set up a Facebook Pixel on your website. After a user has clicked on one of your ads an lands on your site, every subsequent action will be tracked by the pixel. 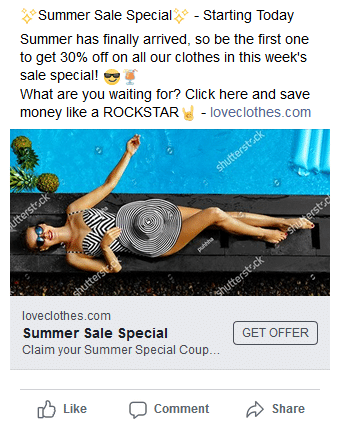 Let’s say that you run a promotion campaign for your eCommerce store. A users clicks on an ad and gets directed to one of your product pages. He then adds a product to the cart, but abandons the checkout process for whatever reason. With the help of Facebook’s pixel, you can add this users to a custom audience, which also includes every other user that has abandoned the checkout process in your store. Then you could create a specific ad (maybe include a coupon) for this audience only. The advantage here is that you already know that every user that is part of the audience is highly interested in your products. As a result, conversion rates are often much higher than what you can achieve with “regular” ads. With SM advertising, you have to test everything that you do all the time. Test different ad images, different headlines and different ad copy. In addition to that, you should test a number of different CTAs and landing pages. You can also test if your ads perform better on different days of the week vs. the weekend and at different times of the day. The possibilities are endless. The only thing that’s important is that you don’t lose track of what you are actually testing and not make false conclusions, which could cost you a lot of money. 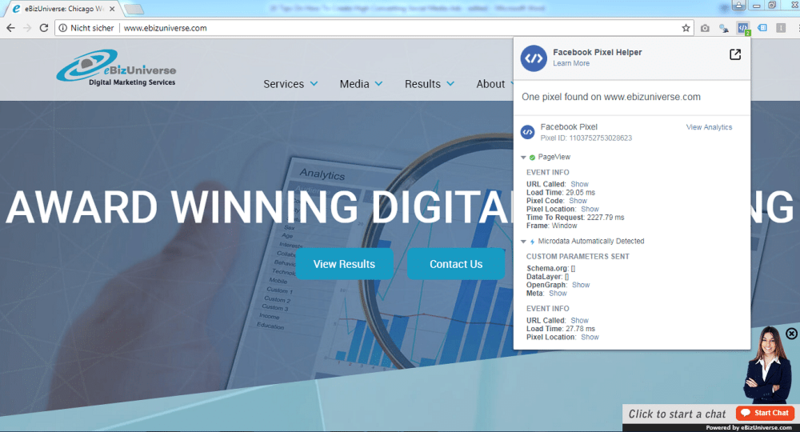 What’s more, all major social media platforms provide you with insights reports with information about how well your ads perform. Use these reports to learn more about your ideal customer. The screenshot below shows how one of our Facebook ads performed for different age groups (left column). Instagram and to some extent Pinterest are the only networks where using hashtags is really important and makes sense. Instagram relies heavily on hashtags and they are a great tool to connect with niche audiences. One of the reasons for this is that since the beginning of this year, Instagram allows users to follow specific hashtags. Stories and posts that use these hashtags will automatically be featured in the users’ new sfeed. Above that, the easiest way for users to find content that interests them is by using Instagram’s search function, which again works with hashtags. With Pinterest, hashtags can also be used by searches to find the type of content that they like. The platform recommends to use no more than 20 descriptive hashtags per Pin and suggests a mix of evergreen and time-sensitive ones. Need our experts to take a look at your Online Marketing? Call us at (800) 379-2829 or contact us.